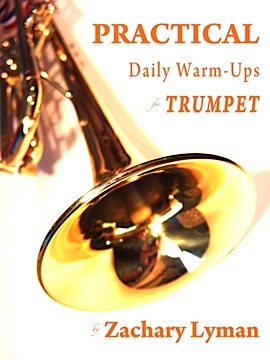 Practical Daily Warm-Ups for Trumpet by Zachary Lyman is a great set of exercises to add to your practice routine. I don’t often get an opportunity to review the work of a friend and colleague, so I take great delight in writing the next set of words. I use this book often and I use it with my students to supplement their Schlossberg assignments. The first set of buzzing exercises have been particularly wonderful for my beginning trumpet students. It has been a great addition to my library. If you want a copy of this book you should look it up at Keveli Music. While there, look up some of their other publications. Great to see reviews here, Ed. We’re so happy to have the student practice routine book you created in the library.